I haven’t done a blog in relation to relaxing for awhile as to be honest I haven’t relaxed properly for the last couple of weeks, so just haven’t been in the right piece of mind. Then I remembered why I started to write this series, as us mums, dads, carers need to relax. So I locked myself away for a bit and just breathed by myself for 10 minutes. I collected myself into blogger mode. Today I am talking about finding a hobby. Sounds old fashioned to have a hobby, but bare with me. When your a Mum your whole life revolves around making your children happy, taking annual leave to go see their play, leaving early from a wedding because your kids can’t settle. It’s going shopping for you as you need new clothes, yet bringing nothing home for yourself just a load of kid stuff. I have been trying to find a hobby for years! Now I can play piano and I love sitting at my piano and playing, but at the moment the piano needs tuning and someone’s always in and I need to relax and play with no one listening so this is a hobby I barely do. It also doesn’t excite me, I don’t get excited to play the piano, it’s more a chore to start with and then I relax into it. A hobby shouldn’t do that. Then I found hand knitting. I LOVE hand knitting. I love choosing the wool, feeling the different textures, buying the different animal wool (llama and alpaca wool is so soft). I love when it gets delivered, I love that in half an hour I can get a scarf from a ball of wool! I did get too into it and had to stop as our house was filled with scarves but come winter I will be back into hand knitting. 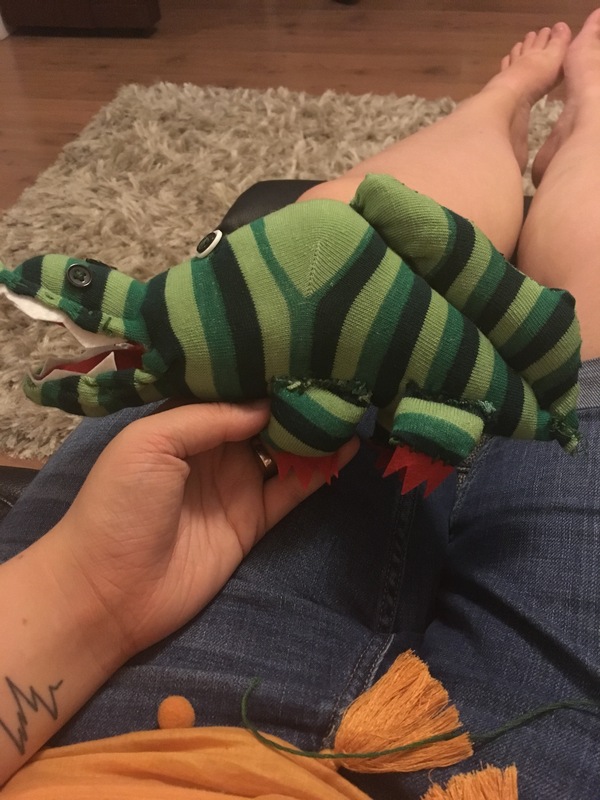 I am also getting into sewing, again choosing the design on the material and seeing it come to life in a dress (or in tonight’s sewing campaign a sock crocodile) just feels me with joy. Making sure it is perfect otherwise you will be able to tell, coming up with new ideas or finding a way around a problem just excites me. I guess what I am trying to say is, find a hobby, have a little go at a few. It took me around 7 years to find a hobby I love and a hobby I really got involved in, it’s a lot of trial and error but once it clicks being able to do a hobby is amazing for your mental health. I have been so stressed this past week but here I am relaxing. 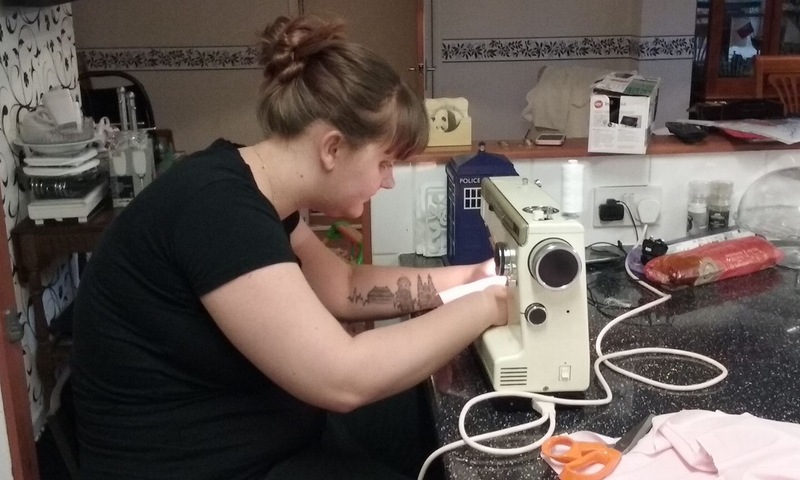 I’ve done 3 hours of sewing tonight and 2 hours to afternoon and although I am making my children something, I am completely out of my mummy head and in my head. What’s your hobby? Or are you like me and have been searching for a hobby for a while? We have to remember we have our own identity we are not just ‘BBGs mum’ we are us.